United to serve…. United we serve…. 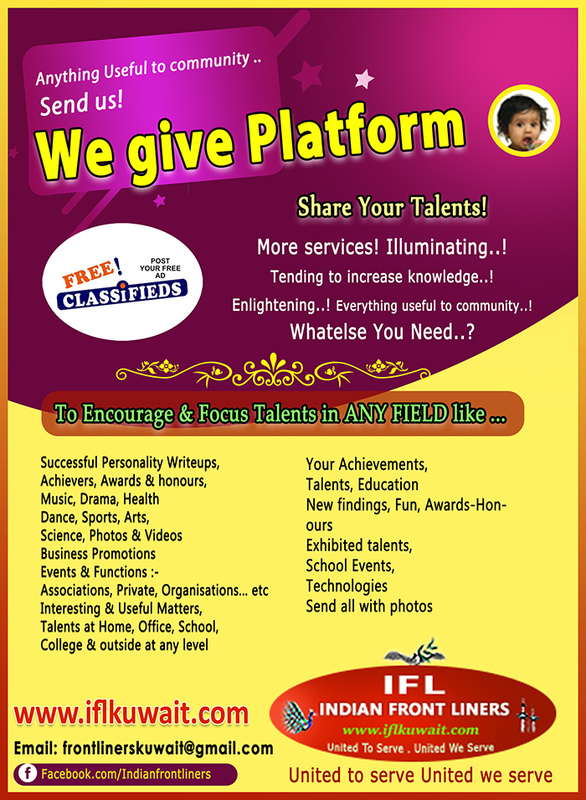 IFL consists of people from different walks of life, different parts of India and different economic sections. Moreover, these services were rendered by the IFL members, who are the volunteers from different background such as Engineers, Doctors, Businessmen etc. and with different social and financial status. IFL’s helping hands have reached out to wide spectrum of the needy person in the society. IFL working directly and through other service organization, have provided relief and assistance in the field of Education, Health, Disaster Relief, Old-age care, Orphanage services, Animal Care & Community welfare etc..
Members of IFL team take part in campaigns such as tree planting organized by Kuwait Volunteering work. In the past 21 years, IFL has been doing a tremendous work in providing tireless service to our society. It was the responsibility of each one of us to give back to the society , and to take care of the needy people. Members of IFL have united for this purpose and cause. Every year IFL have been conducting such program and releasing the book consisting of valuable articles about prominent Indians; through which IFL are able to mobilize the fund to help the needy people. We have been providing the financial help for more than 3.5 crore Indian Rupees so far with the support of our sponsors. One of the biggest achievements by IFL Welfare wing was to suspend the execution of two Indians sentenced to death in Kuwait, with the help of Indian Embassy and then Ambassador Shri. 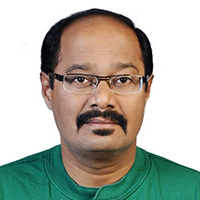 Satish C. Mehta. By getting the information just before 3 days of execution, on behalf of Indian Frontliners, General Secretary Mr. K. Mathi, with the affected persons relatives and friends coordinated with Indian Embassy for the above humble effort. IFL has extended help mainly for the people in distress like stranded and sick workers/maids, poor in need of medical attention, families of persons died in Kuwait who does not have the proper knowledge / support in the state of Kuwait where there are limited opportunities for the expatriates. Helping to send the dead bodies back home of the less privileged individuals in Kuwait or conducting funerals in few cases in Kuwait itself; Coordinating with Indian embassy and Kuwait authorities in getting all the approval and formalities to send the deceased bodies. Providing help for the people allegedly deceived by the sponsor or the agents to get the Embassy letters and proper documents for their repatriation back home. Assisting the needy people to reach out to the proper Authorities to solve the residence and visa related issues. Providing moral support to the sick people who are hospitalized here in the Kuwait hospitals without friends/relatives. Provides the Financial support to the poor / sick people to go back to India either mobilizing fund through the associations or with the support from the Indian Embassy. IFL believes that everybody can be great; every contribution whether big or small , makes a big difference to the life of some person in need. Also, the Indian Frontliners are running a website to update the status around us to the people around the world. Recently, Indian Frontliners have helped Kerala Government by donating IRS. 100,000/= to the Chief Minister of Kerala for his Distress Relief Fund. FRONTLINERS Kuwait a non-profit social organization registered with Embassy of India, Kuwait has been in existence since 1997. It helps needy and less privileged people and participates in various voluntary works. In the past 20 years of our existance in Kuwait, many prominent personalities has presided over our Frontliners Functions as "Guest of honor ", We are proud to state that fund mobilised during these functions has been donated more than 3 crores rupees for various calamities funds, education for the poor, orphanage, Hospitals, NGO in our homeland as well as helping the disturbed and helpless workers in Kuwait in coordination with Indian Embassy . The need to highlight the successes of Indians, to enumerate their efforts, the pitfalls and challenges met by them, their untiring effort to beat all odds and succeed, to encourage the upcoming generation … these and to help the needy people with the proceeds, prompted to start the Indian FRONTLINERS book. We are proud to say that so far, 20 volumes of Frontliners have been released.